What Coursework Can I Expect if I’m an RN Looking to Complete My BSN Degree? With the growing need for qualified nurses, many RNs are choosing to go on for their BSN degree. Having a bachelor’s degree prepares an RN for more and better work opportunities, including supervisory work. Many employers are encouraging RNs to go back to school to complete their degree. If you’re contemplating an RN to BSN degree, you may be wondering about the types of courses you will need to take in order to fulfill the bachelors level requirements. One advantage of the RN to BSN degree is that it is an accelerated path to a BSN. It is understood that working RNs will be taking coursework while continuing to work in a professional capacity. Not only does this mean that courses can be scheduled with your workload in mind, but the kinds of skills you learn are skills that you can already begin to apply in your current work. Many RNs who enroll in this type of program already hold an associates degree or at least a diploma, so they already have some coursework, as well as practical skills, on which to build. It is likely that your program will assess what courses you have already taken as a starting point for helping you plan the rest of your degree. Much of your previous coursework can likely be counted toward the bachelors degree, so you may be able to finish a BSN within two years. A BSN includes general liberal arts courses in addition to specific nursing courses. If you have already taken some general education courses as an undergraduate, you can probably transfer or use those credits to count toward the core courses you need. If you have not yet taken all the classes you need to satisfy core requirements, you may need to take courses in certain areas such as English, composition, writing and math. You will probably also be able to take certain liberal arts electives, which will vary from program to program. These may include but not be limited to courses in logic, statistics, social work, arts or psychology. The heart of your program will be your nursing courses, several of which may include clinical components. Your program advisors will advise you regarding scheduling those kinds of courses, so that you won’t have too many clinical hours in a given unit or semester. You will likely take courses in different types of nursing, such as family or emergency nursing. You will also learn skills in health assessment. In addition, it’s important that you have a strong foundation in science, so it’s likely you will need to complete courses in subjects such as anatomy and biology. The goal of an RN to BSN nursing degree program is to provide you with a well-rounded liberal arts based education with a focus on increasing your nursing skills and knowledge. While the varied coursework may sound demanding, the good news is that employers, teachers and mentors all want you to succeed. 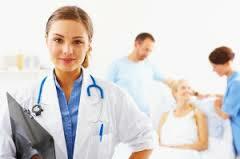 Though each program will be unique, you can be sure that you will get the counsel you need to design a program that will help you achieve your goal of attaining a BSN and furthering your nursing career.